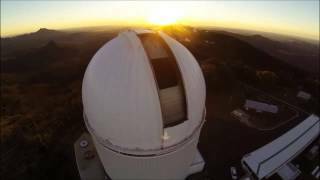 Siding Spring Observatory is Australia's premier optical astronomical research facility. Located 27 kilometres west of Coonabarabran on the edge of the Warrumbungle National Park, it is home of Australia's largest optical telescopes, including the 3.9 metre Anglo Australian Telescope, the 2.3 metre Advanced Technology Telescope and the two metre Faulkes Telescope South. Visitors are encouraged to explore the Exploratory with hands on activities and information about the universe, the solar system and the research activities undertaken by astronomers at the site. During School Holidays, tours of the site are offered daily. See the website for more details. The annual Star Fest celebration at Siding Spring Observatory is held on the Labour Day weekend in October. It's your chance to explore the whole site, talk with astronomers about the universe and the research they are undertaking. You might even get a chance to take a look through a telescope yourself! More information can be found on the StarFest web site.